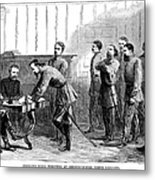 There are no comments for Civil War: Parole, 1865. Click here to post the first comment. CIVIL WAR: PAROLE, 1865. 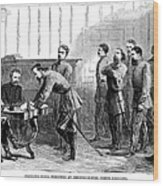 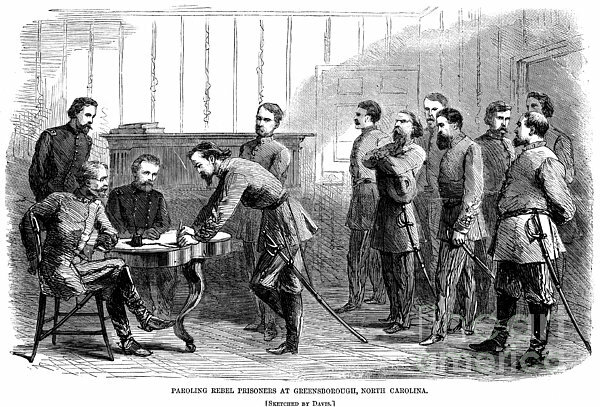 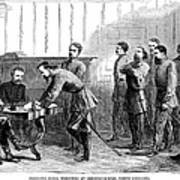 Paroling rebel prisoners at Greensboro, North Carolina: wood engraving from a Northern newspaper shortly after the end of the Civil War in 1865.